With the rise of cheap flights, train fares and the like, it makes sense for a chain to focus on making overnight stays in popular cities affordable. 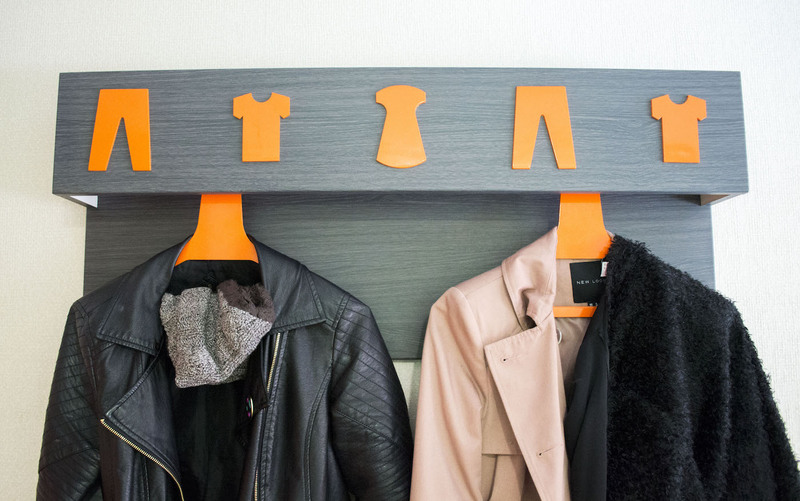 And who better than easyHotel? This chain focuses on competitive pricing, with overnight stays in hotels across 10 countries starting from a bargain £9.99 per night. The stay works almost like a build-your-own Lego box, with the base price getting you a windowless en-suite room. 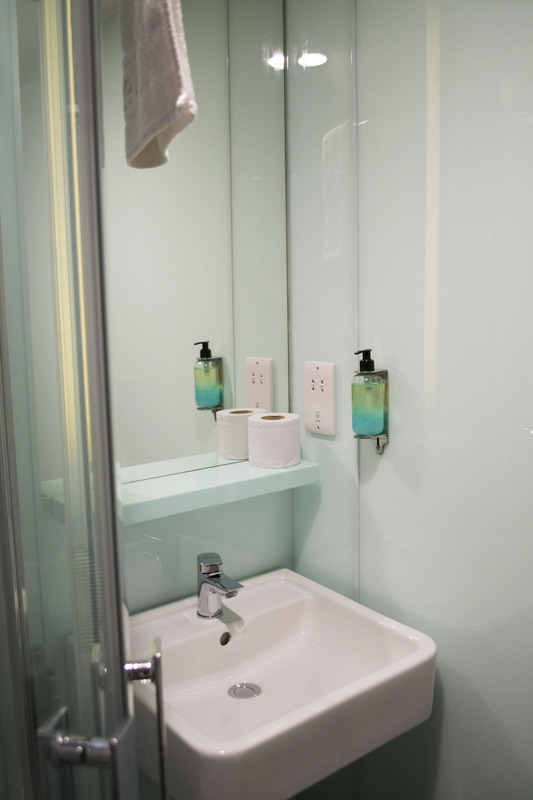 You can then opt to pay for extras, including a window, TV access, WiFi, breakfast and even room cleaning. It’s a novel way of offering affordable stays for budget travellers who have maybe outgrown the hostel life. But then in February an email arrived in my inbox, asking me if I wanted to try out an easyHotel for myself. I was honest about my previous bad experience, but to be truthful I was kind of excited. I so wanted to get on board with the whole easyHotel lifestyle because of how affordable and convenient it was. 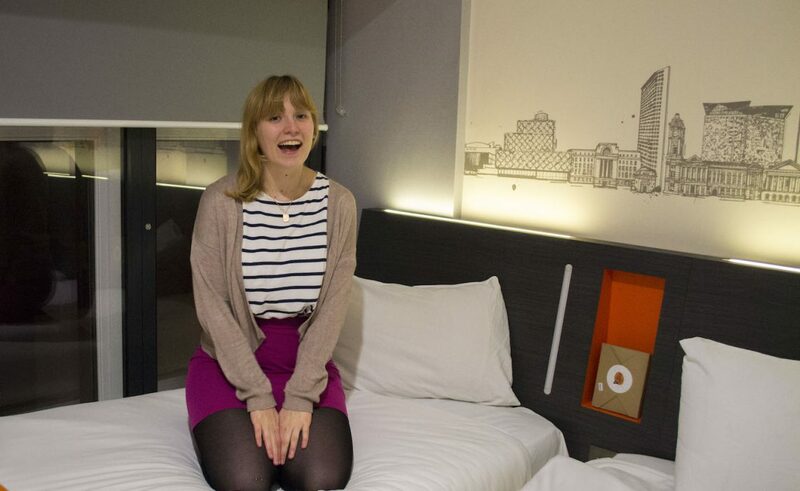 So last weekend, off I trotted up to Birmingham to give the easyHotel brand another chance. Would it be a success, or would I be swearing off it for good? Check in staff were friendly and approachable, and it felt like they couldn’t do enough to make your stay feel comfortable. We were given the key card to our room on the second floor, and skipped on up to bed. 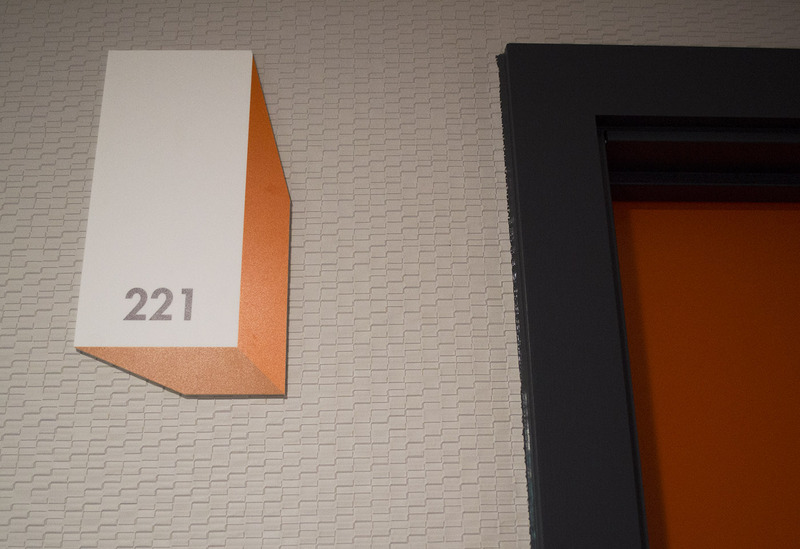 Emblazoned in colourful orange and white colours, the rooms scream budget, but in all honesty the whole set-up is no different to what you’d expect at other budget hotel chains! 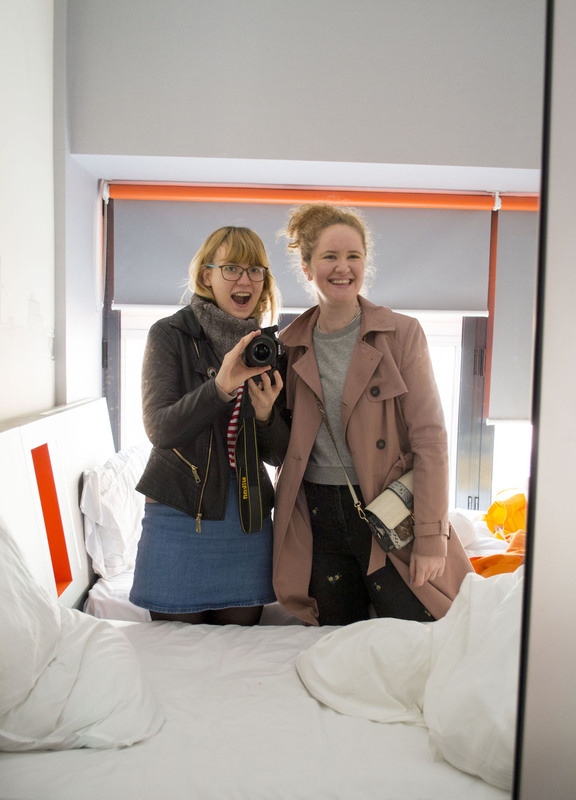 We had a twin bed room, with an ensuite, a TV and – *holds onto something tight with all the excitement* – a huge window! Having now experienced the difference between a windowless room and a room with a window, I definitely think it’s worth paying the extra money. 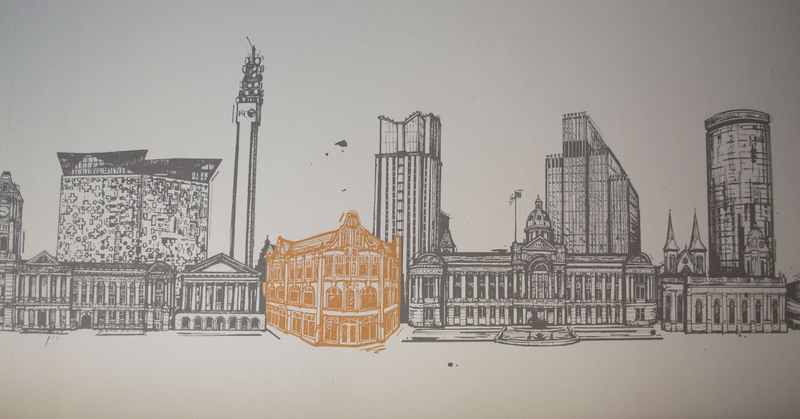 The room itself was spacious, light and airy, with clean and a colourful cityscape of Birmingham etched onto the wall behind the bed. 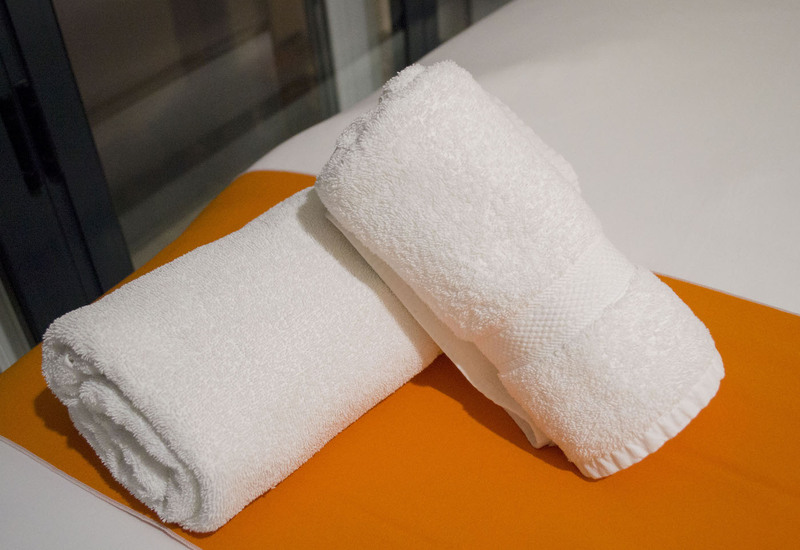 Clean towels were rolled up on each of our beds, while plug sockets were within easy reach. I also loved the little cubby holes for all our important bits! Full disclosure: we were provided with complimentary WiFi and TV access as part of our hosted stay. Usually it’s £5 for WiFi access for 24 hours, and £5 for TV access. Last time I stayed, TV access was included but I had to pay for a remote, which I did think was a little ridiculous. I guess making the whole TV itself optional makes more sense, especially for travellers who really don’t care about it. I know I’ve stayed in hotels abroad and never once touched the TV! WiFi was arguably less of a deal-breaker for me and Soph and our 4G data, but again, it’s nice to know it’s available if you needed it for work. 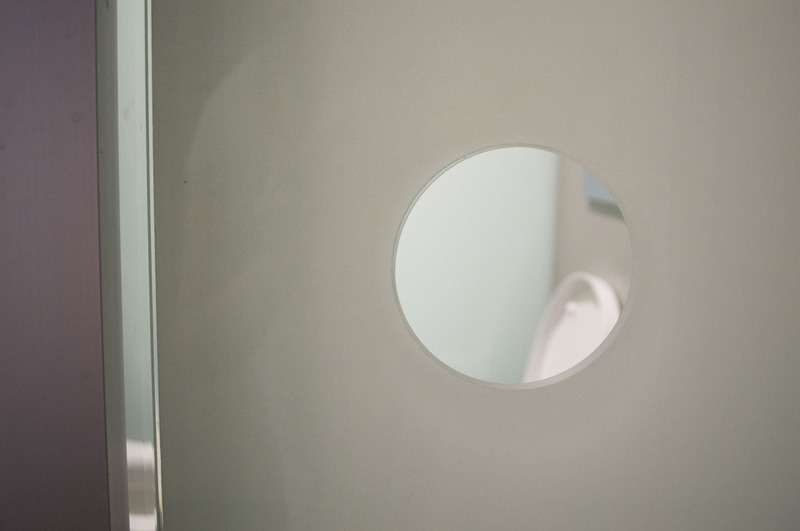 I did find it a bit strange at first that room cleaning comes at a cost of £10, but when I thought about it more, how often do I clean my room and bathroom at home? Definitely not every day for sure! Some of these optional extras make you think twice about just what is essential and what isn’t. The bathroom itself though? Couldn’t fault it. 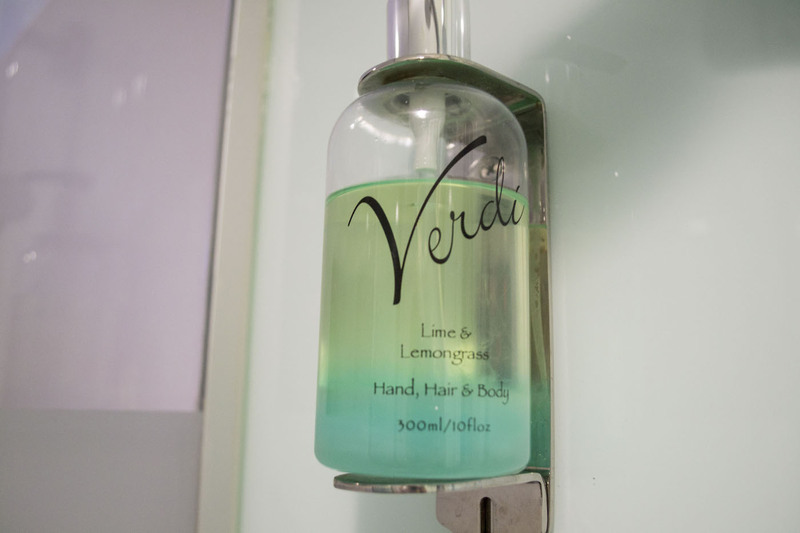 Toilet, shower, sink, shower gel – it had everything you needed to keep clean. The shower did make a little bit of a noise when it was in use (kinda like a lawnmower I thought?) but it sort of reminded me of family caravan holidays when I was a kid. 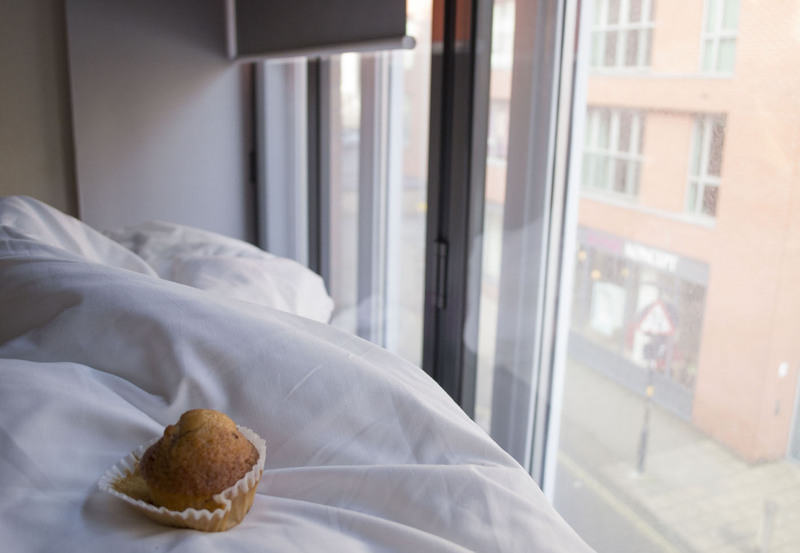 At the Birmingham easyHotel, you can opt to include a breakfast box from £4.95. 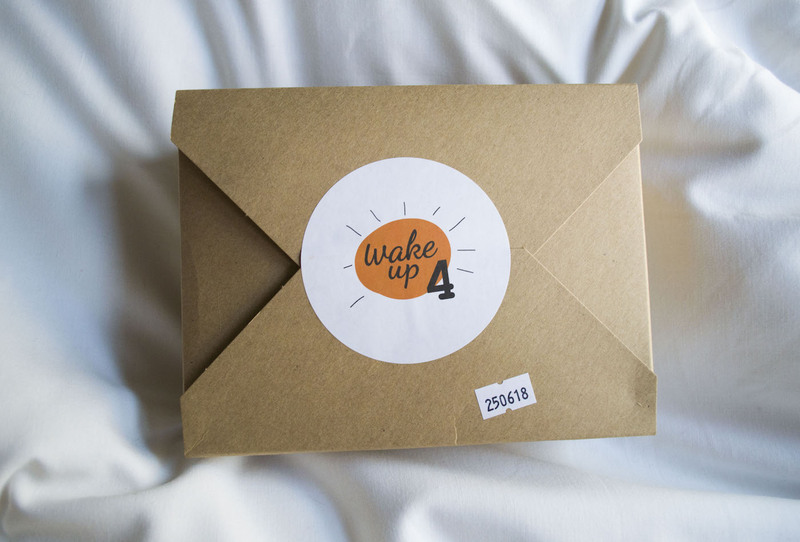 Containing a juice, a cranberry and orange muffin, an Eat Natural bar, and some Real Handful nuts, it was beyond nice to just wake up and crack open the box in bed, even if the contents weren’t entirely to my taste! Soph and I were out the door by check-out time at 10am, ready for a day of exploring Birmingham ahead of us. (Late check-out is available for those who want a snooze for an extra £10, while you can leave storage at the hotel while you go exploring for £5.) 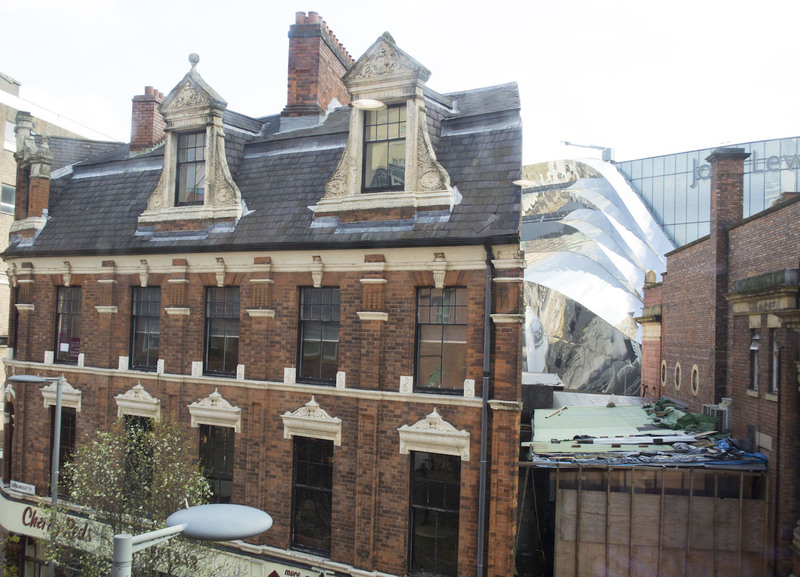 The easyHotel Birmingham is right in the heart of the city centre, so we were just minutes away from virtually everything we wanted to visit! There’s no doubt that this stay was 1000 times better than my first. It goes to show just how important a precious window is! I really love the idea of being able to build your own hotel package out of features you require, although it could work out pretty pricey if you weren’t able to initially get a cheap room deal. Would I stay in an easyHotel again? Yes, definitely. I like the fact each hotel has its own character and charm, with personalised wall art and nifty little room features. 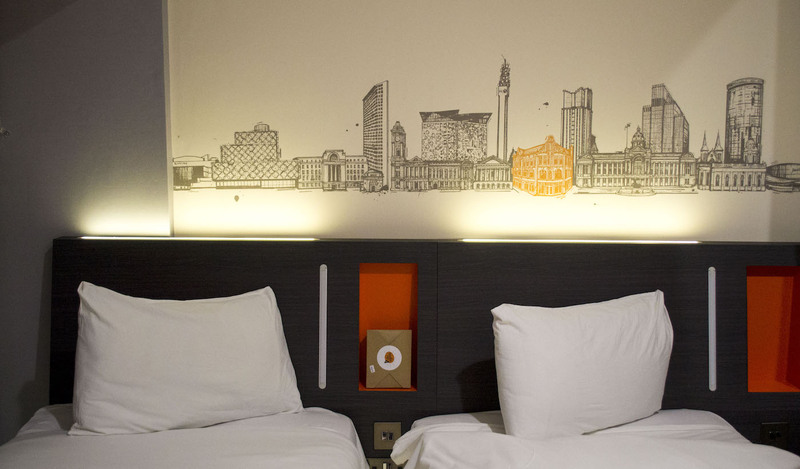 The additional extras of paying for TV and WiFi might put me off staying for a longer time, but for an overnight stay or a weekend break, easyHotel gets my seal of approval. 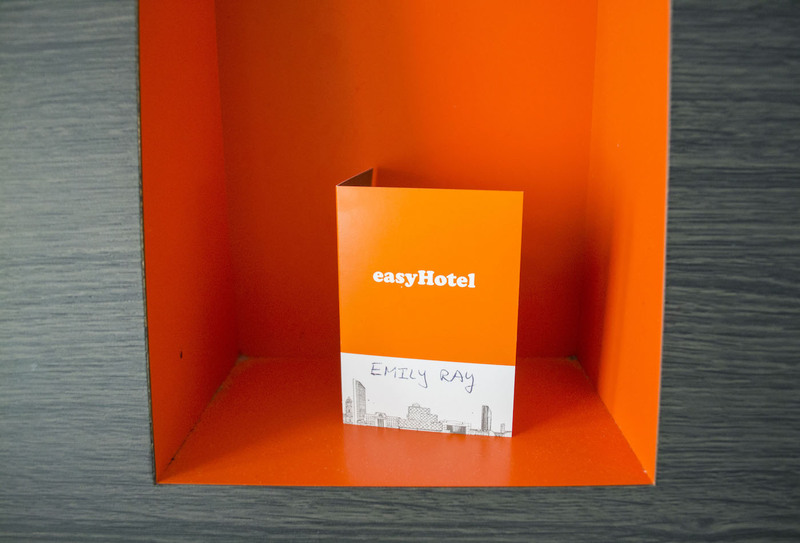 Have you stayed in an easyHotel? Would you consider it? Many thanks to easyHotel for hosting me for the night. All thoughts and opinions on windows and everything else are entirely my own!